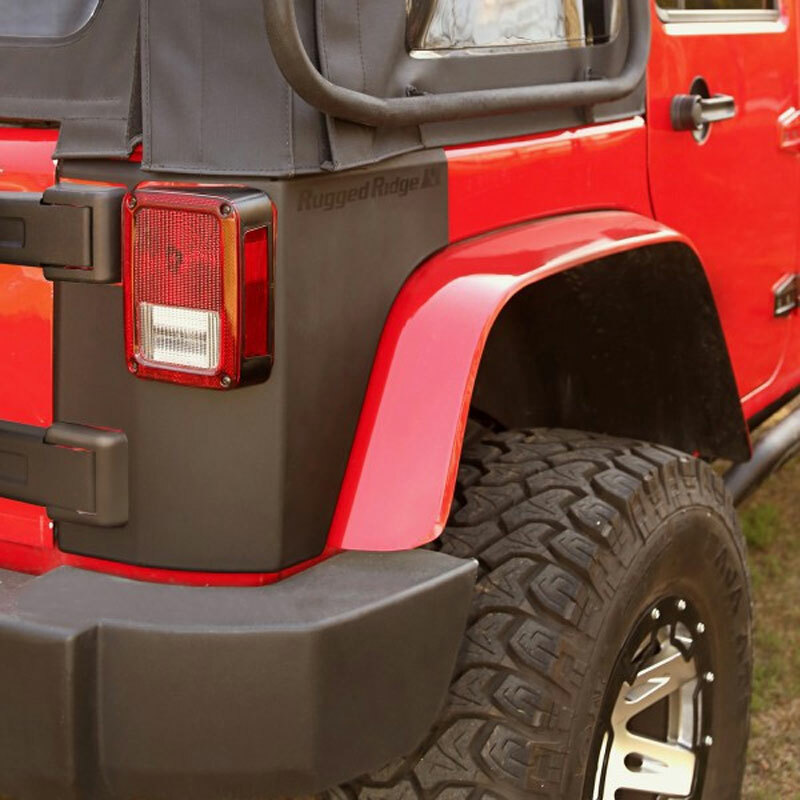 5-Piece Body Armor Kit in Smooth Finish for 2007-16 Jeep Wranglers 4 Door Models Only. Kit includes a matte black bug deflector, 4-door rear corner body armor set, 4-door rocker guard set, and adhesive promoter. 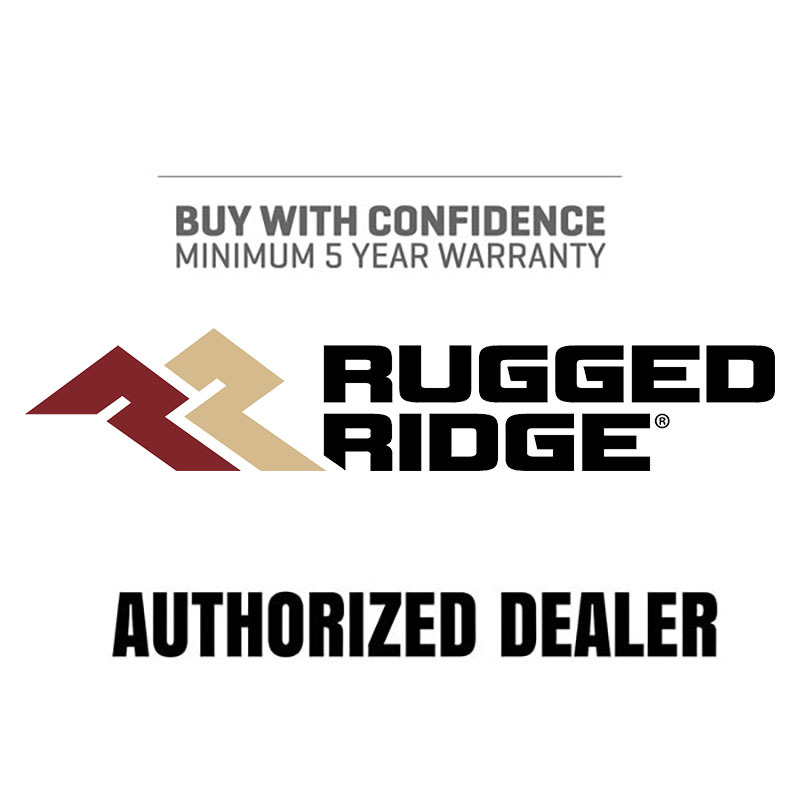 Get that off-road look and customize your Jeep the way you want with this five piece Rugged Ridge Body Armor kit. 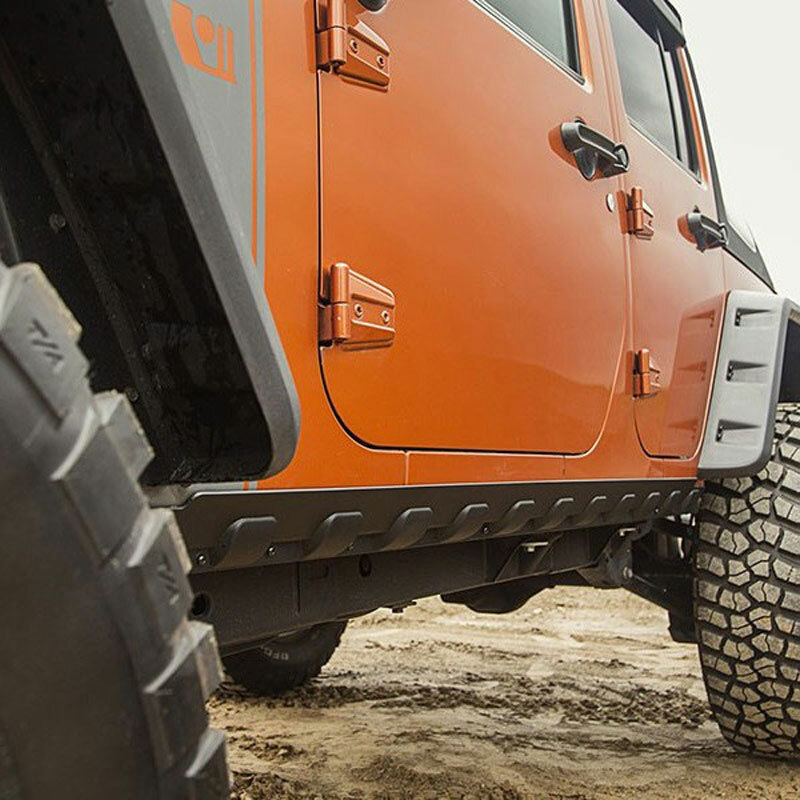 Each body armor piece is constructed of smooth matte black UV treated thermoplastic for the coolest, toughest, looking upgrade for your Jeep. Attached using ultra strong 3M tape to ensure a secure fit, these body armor kits allow you to cover up scratches or dents on your paint for a fresh look in a flash!